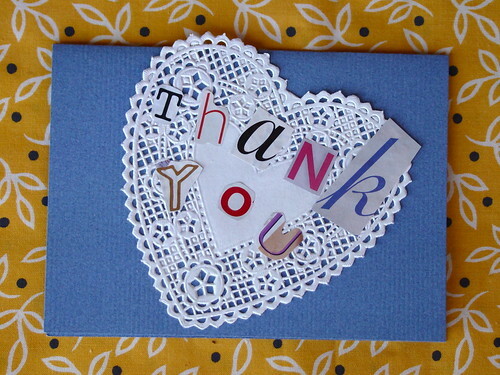 Thank You Cards Made With Magazine Letters!!!!!!!!! G , E , T , W , E , L , L , S , O , O , N :) You may tape all the letters or glue them all. once the glue drys if you used glue! get the markers and draw flowers or just doodle if you want! now you have a finished card write in it and give it to the person you wish to give!!!!!! now that you completed you master piece give it to a special someone i garentied they will truly enjoy it!!! !